One week ago, it was World Ranger Day. This might sound like another day to celebrate something common, like pancake day or secretary day. To me, however, taking a moment to remember the work of ‘our’ rangers is very important. Besides, I don’t have a secretary and you can eat pancakes basically every day. But why are the rangers so important? In my eyes, rangers are the invisible forces behind conservation work. Almost always, famous conservationists like David Attenborough and Jane Goodall are in the spotlights when conservation issues need to be addressed. And this is for a good reason. 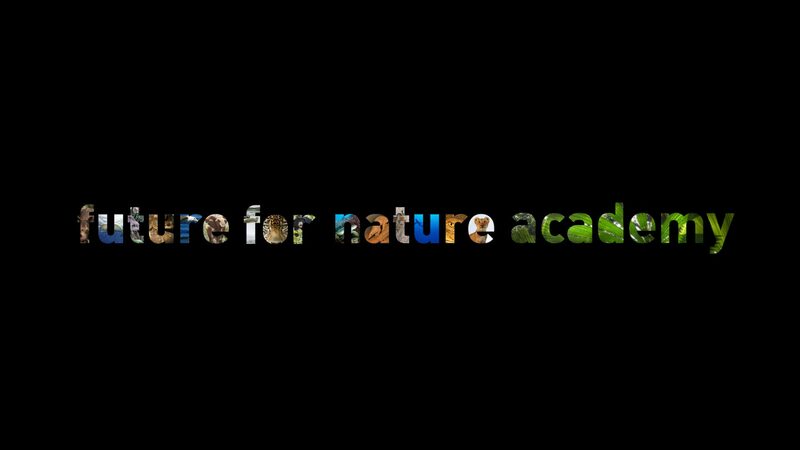 Of course, these people have done and still do incredible work, making us aware of the state of the natural world and the need for conservation action, but it is somewhere else where most of that action takes place. Everywhere around the globe, people are out there in the wild for days, sometimes weeks, to work very hard for the sake of the protection of nature. As they are in the field, rangers are involved in a wide variety of activities, but most of them involve dirty work. 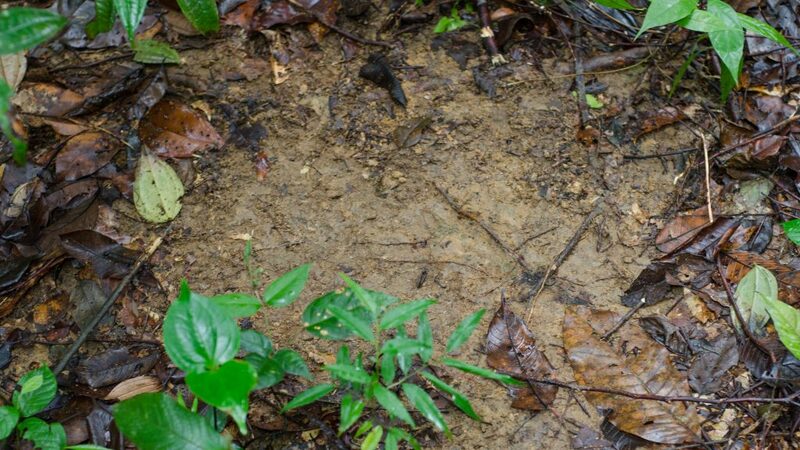 Walking for miles and miles through dense rainforest, trying to find signs of (critically) endangered species. Living, eating, sleeping in the world’s most remote places, without that much comfort. But most importantly, tracking down illegal activities and wildlife crime, which sometimes results in jeopardizing their own lives. In 2017, 207 rangers lost their lives while battling to conserve our planet. While I am writing this blog in the safe and comfortable office of HAkA, I know that not that far from here, there are rangers out there right now. 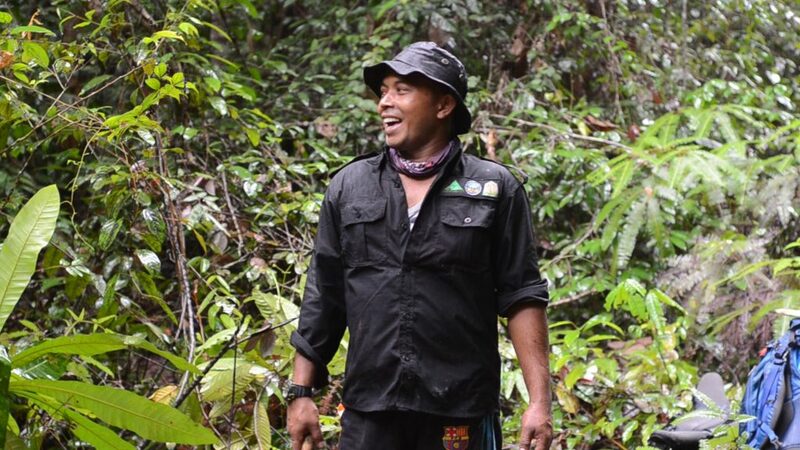 Rudi Putra’s Leuser Conservation Forum (FKL) is the employer of over 100 of those true conservation heroes. During my visit to the Leuser ecosystem, I had the opportunity to join a ranger patrol for one night. Before I embarked on this adventure, I already knew what FKL’s rangers were capable of. But it was only when I spend those two days in the field with them, that I really started to admire them. The weather was terrible (it’s called rainforest for a reason) and still they kept going and going without losing motivation. As part of my work for HAkA and FKL, I have made a short movie about the FKL rangers. You can watch it on the Facebook page of HAkA. Just a small glimpse of their accomplishments of the last half year: the FKL rangers have been out in the forest patrolling for a staggering total of 1971 days! During those patrols, 497 snares have been confiscated. In other words: during the period January-June 2018, the lives of 497 innocent animals have been saved. That’s what I call progress! This poaching doesn’t occur for no reason. Because human activities in Leuser are expanding (i.e. more deforestation, creating more roads and plantations), human activities occupy natural habitat. This process, called encroachment, increases the contact between human and wildlife and thus also the number of human-wildlife conflicts, often resulting in the death of animals. It’s no surprise that a lot of research currently being done in Leuser deals with this topic. The first step in battling these conflicts is to understand where they occur and, more importantly, why and how they can be solved. This knowledge forms the basis for conservation decisions. 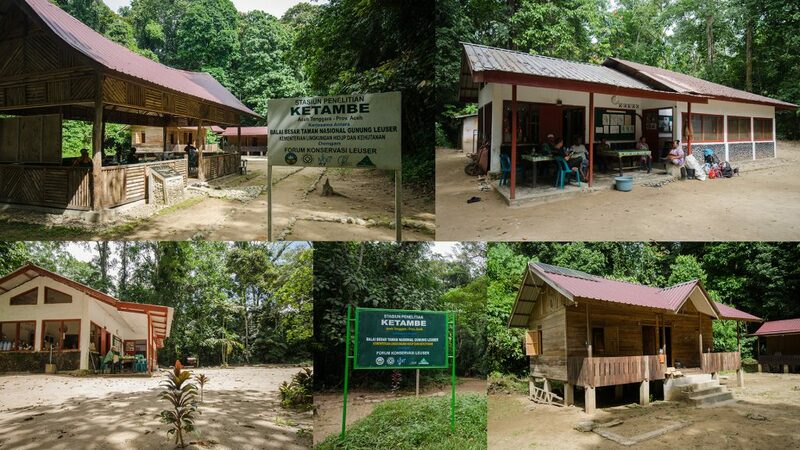 I already mentioned it briefly in last week’s vlog, but Leuser is home to two research stations, Ketambe and Soraya, both managed by FKL. These stations are the main hubs for research in the Leuser ecosystem. By managing these stations, FKL facilitates a healthy Leuser in another way than only through the ranger patrols. Nowadays, the research stations are beautiful buildings located in the lush green forest that is Leuser. And after having stayed there for a week, I can say that they are incredibly comfortable and the atmosphere over there is great. Going to bed with forest sounds in the background and waking up to the same sounds again is an amazing feeling. Furthermore, you’ll meet researchers from all over the world, working on the most fascinating and relevant topics you can imagine. To name a few: the behaviour of orangutans, mapping and restoring elephant corridors and the impact of man-made sounds on the singing behaviour of siamang gibbons. But it hasn’t always been like this. Both Ketambe and Soraya had to be shut down during the political conflict in Aceh in the early 2000s. On top of that, both stations have been burned down. Finally, after a lot of effort by FKL among others, Ketambe was rebuilt in 2015 and Soraya was re-opened in 2016, ready to facilitate a lot of research projects. These projects are crucial for the protection of Leuser. The research stations are located in ecologically very interesting areas. The area around Ketambe houses a large number of orangutans and over the years a lot of researchers have spent time there to understand these animals and their relationship with human activities. The Soraya area, on the other hand, used to be the location of two big logging companies. For a few decades now, logging activities have been terminated, making this the perfect location to study the development of secondary forest. Furthermore, the area is known for the presence of orangutans and tigers, which indicates that the area is recovering well. If you want to contribute to a healthy Leuser too, you can! Becoming a ranger here might be a little difficult, but it’s definitely possible to do research here and contribute to a better understanding of human-wildlife conflicts and thus to better conservation work.